Where would the world be without innovation? 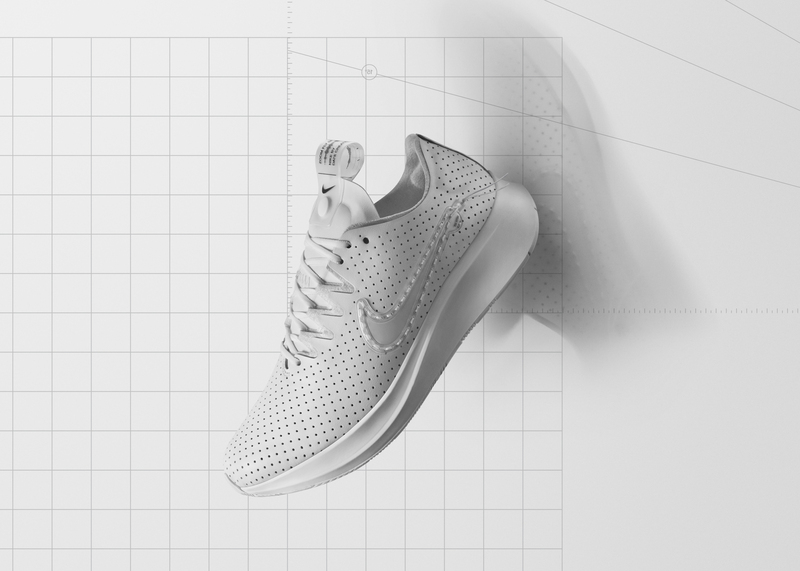 More specifically, where would the world be today without Nike innovation? 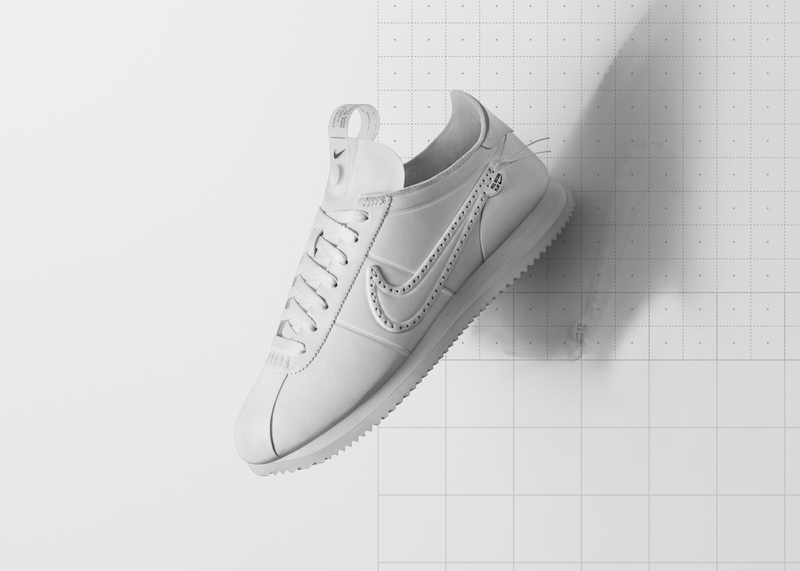 Founded in Portland, Oregon in 1964 from a single pair of running shoes, Nike has evolved over the past five decades into a multinational corporation and one of the most important brands in the world. 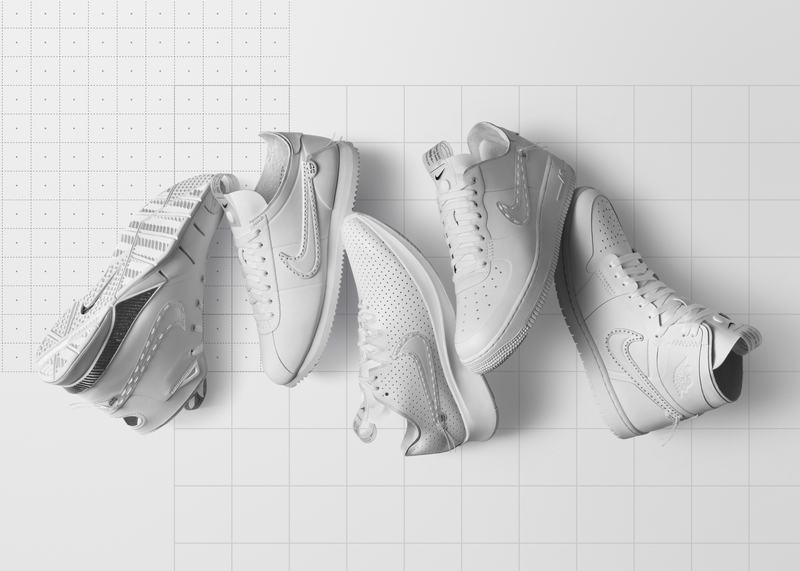 From the introduction of the iconic Nike Swoosh in 1971, to the expansion of product lines and international distribution throughout the 80s and 90s, one thing has always remained the same, the Nike brand is grounded in performance excellence and a constant quest towards challenging itself and its athletes. 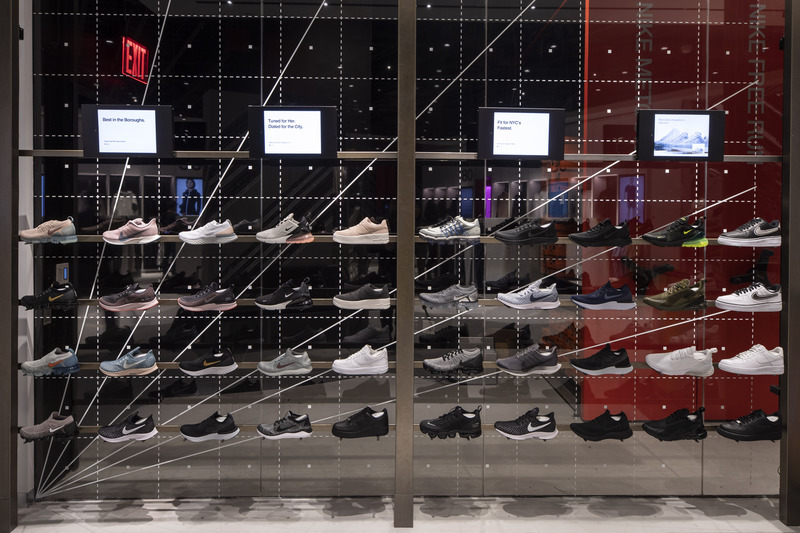 Since opening the first Niketown in downtown Portland over twenty-five years ago, the Oregon-based sports behemoth has been striving towards disrupting the retail landscape for its next generation of unequivocally loyal customers. 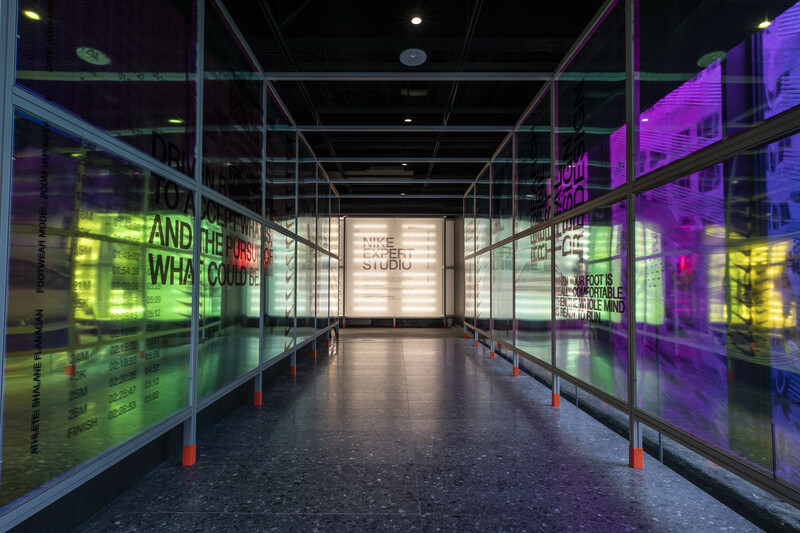 This effervescent, never settling attitude has birthed a new generation of flagship experiences seeking to transform and disrupt the retail landscape, dubbed Nike’s ‘House of Innovation’. 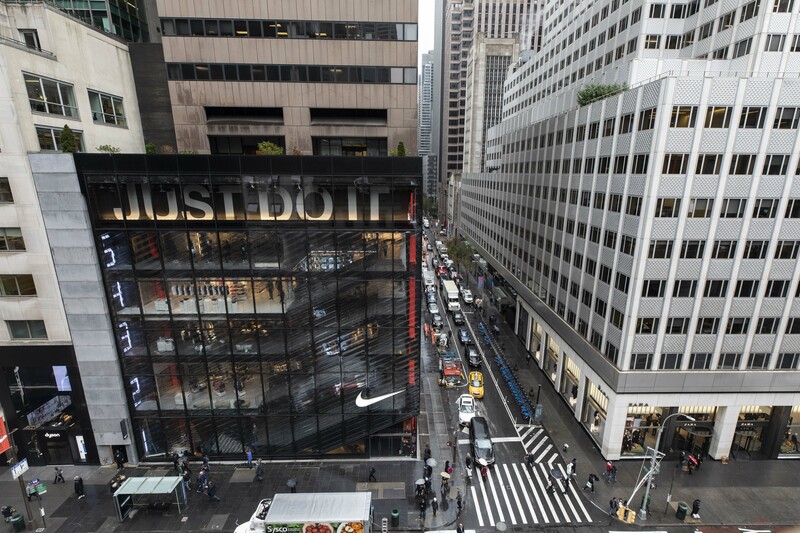 If you’ve found yourself in midtown Manhattan stuck amidst Fifth Avenue thoroughfare, or wondering why 52nd street has been injected with energy and feverish crowds of excited onlookers, you have experienced firsthand the effect of Nike’s House of Innovation 000; the second flagship in the brand’s new generation of stores seeking to fluidly integrate Nike sport performance and Nike’s unparalleled retail experience – the first in the series, Nike House of Innovation Shanghai 001, opened in China’s biggest city in September 2018. 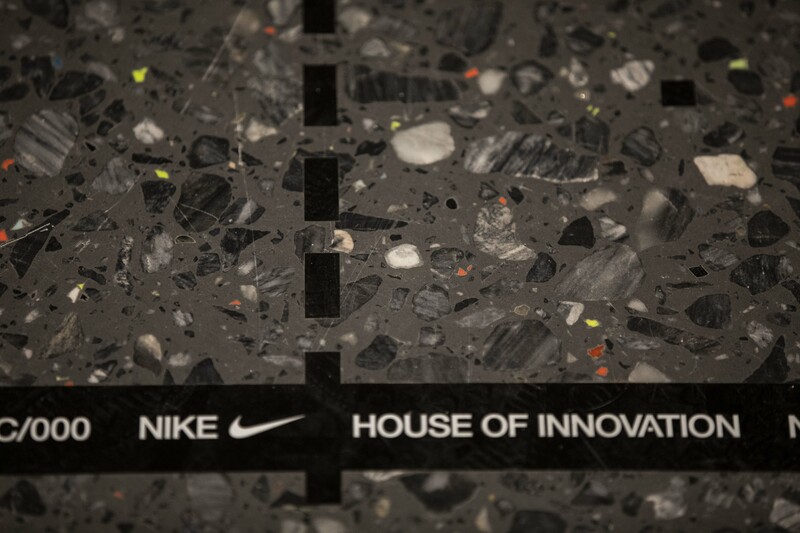 Like the brand itself, which serves nearly 3 billion customers annually in over one thousand stores through the support of tens of thousands of store employees – dubbed ‘athletes’ – along with its industry-leading digital portfolio, the Nike House of Innovation concept is grounded in the brand’s core values and ideals, those which include collaboration, coordination and co-creation. 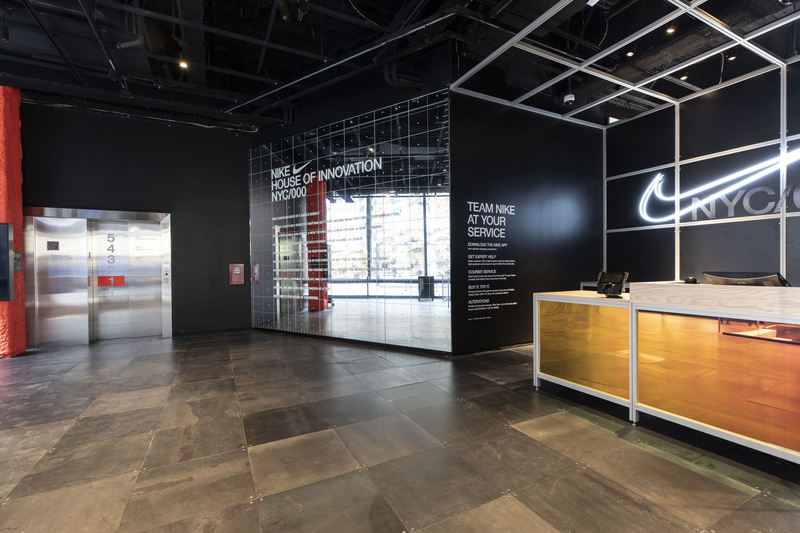 Nike’s House of Innovation serves as a physical invitation to inspire and challenge human potential, a concept that is brought to life physically; not only through the products they design and sell, but in the stores they create. 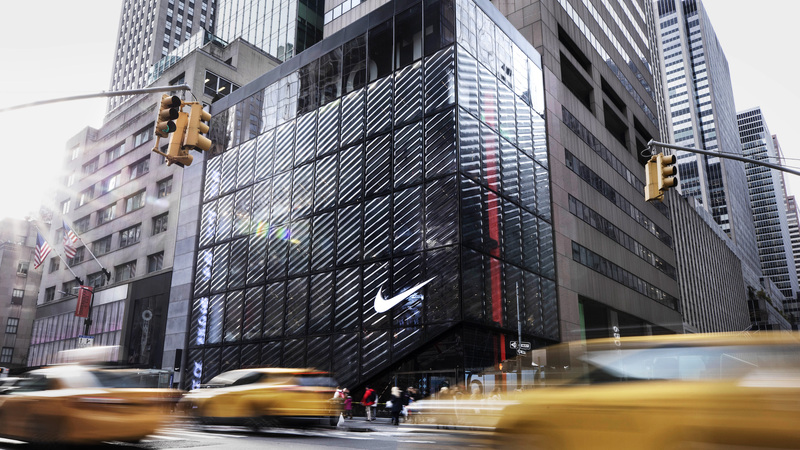 Case in point, Nike House of Innovation 000, situated on the south-west corner of Fifth Avenue and 52nd street in New York City, a disruptive force amidst the concrete canyon that is midtown Manhattan, where the building’s mere presence challenges the possibilities of architecture, design and the human potential. 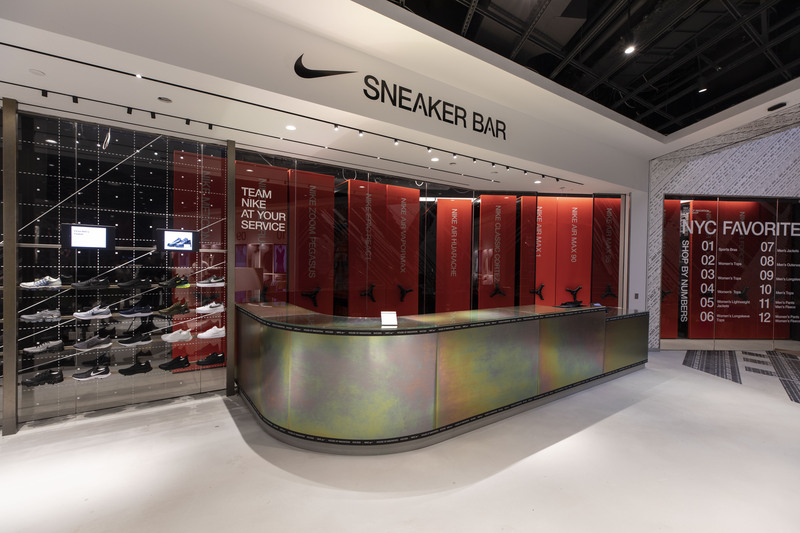 Using motion as an architectural design driver, the structure’s slumped and carved glass façade – molded at a precise 23.5 degrees, the base angel of the Nike swoosh – refracts the energy of the street, emitting a glazed, placid appearance. The building’s athletic stance is a visual invitation of human potential, providing a tranquil escape from the disruptive energy of the outdoors. 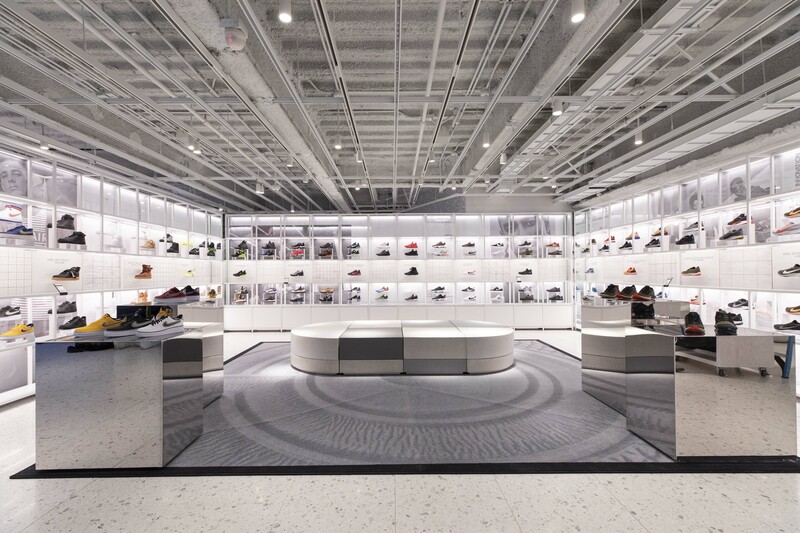 Nike’s House of Innovation 000 is a 68,000 square foot, six-level premium destination; the brand’s largest retail canvas amidst the world’s biggest stage. Walking through the store’s triangular main entrance, sliced out of the building’s first floor – its solid, angled appearance mimicking the form of a runner exploding off the starting block – is like entering an athletic abyss. 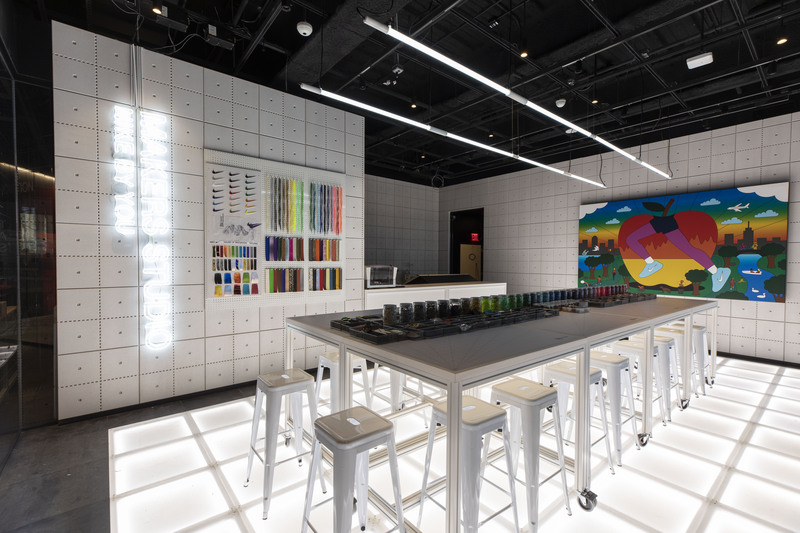 Visitors are offered an escape from outside chaos into an environment built on clarity, comprised of the best products, services, and modes of collaboration that Nike has to offer. 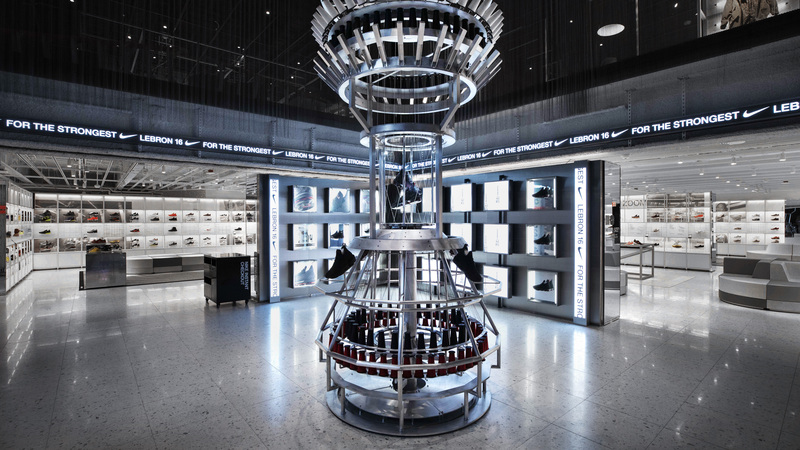 The flagship’s ‘one floor, one world’ design, approaches each of its six levels like a new chapter, denoted by distinct architectural features, product offerings and through unique modes of storytelling encapsulated in each space. 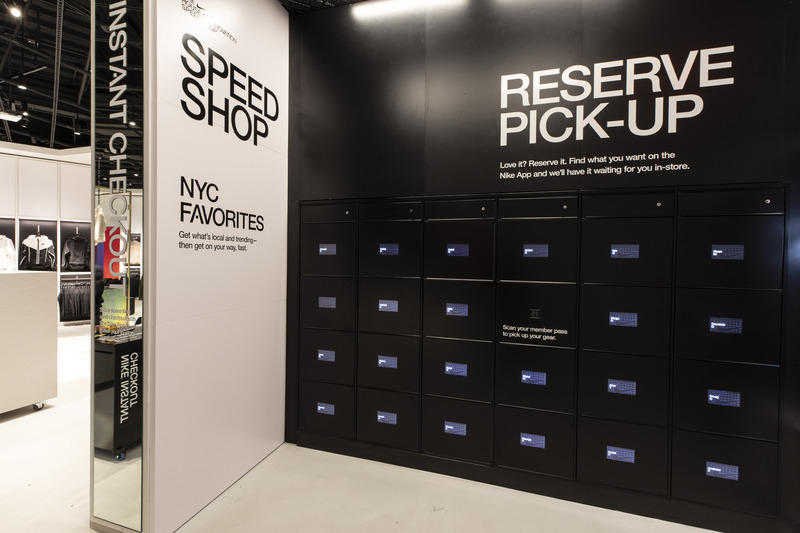 Hidden below ground is a Nike Speed Shop, curated as a grab-and-go, predictive environment serving local New York customers with a frictionless, efficient, hyper responsive approach to retail. 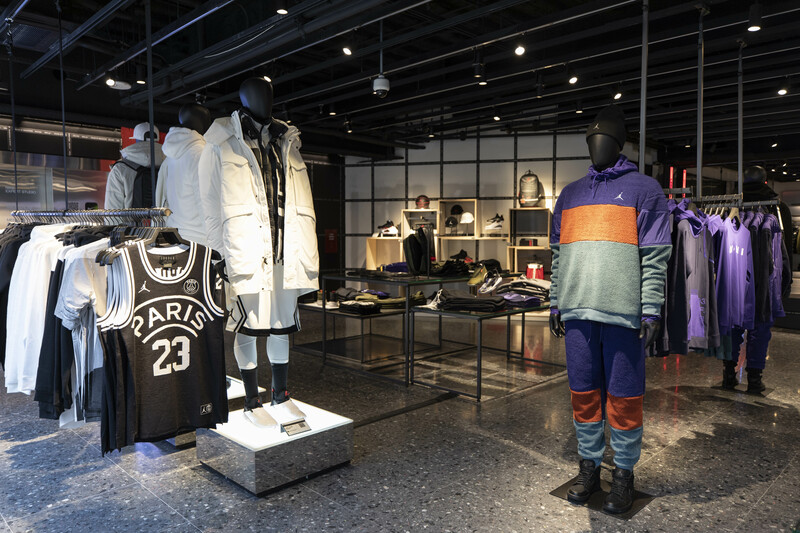 The store’s first floor, dubbed the ‘Nike Arena’, employs dark, solid materials evocative of the brand, and serves as a constantly evolving canvas for Nike’s seasonal storytelling on innovation. 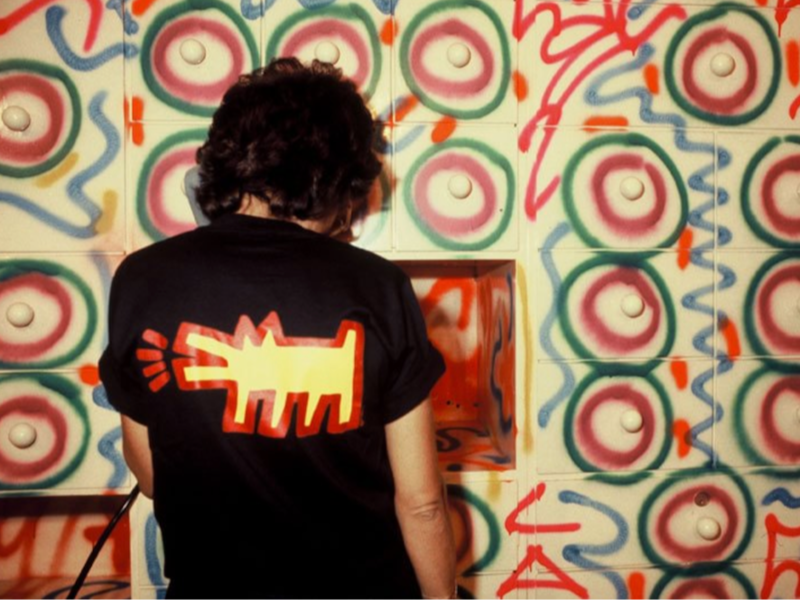 Central to the Arena is a custom-designed installation called the ‘Sport Beacon’, inspired by the visual and physical landscape of New York City. 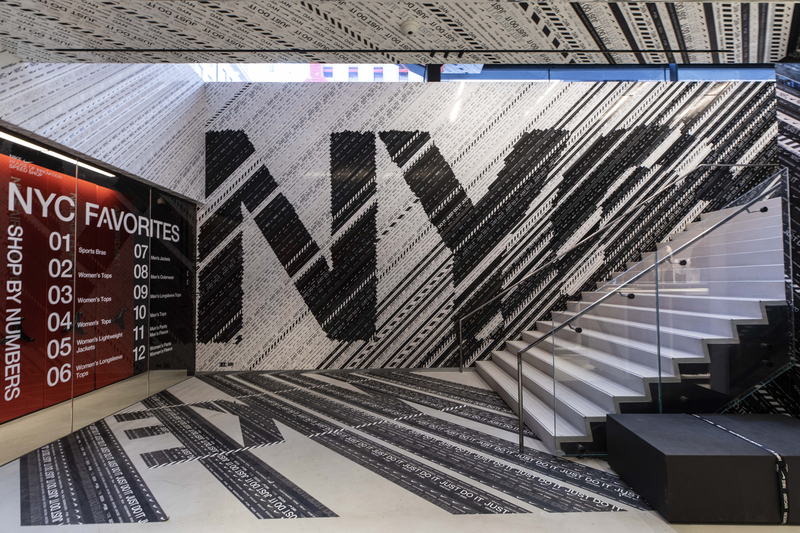 Suspended from the building’s third floor, this colossal multimedia installation evokes the appearance of an iconic New York skyscraper flipped on its head. Nonstop visuals are displayed on the Beacon’s sports arena-like jumbotrons, as audio blasts from its directional speakers and product is displayed on its steel beam structure. 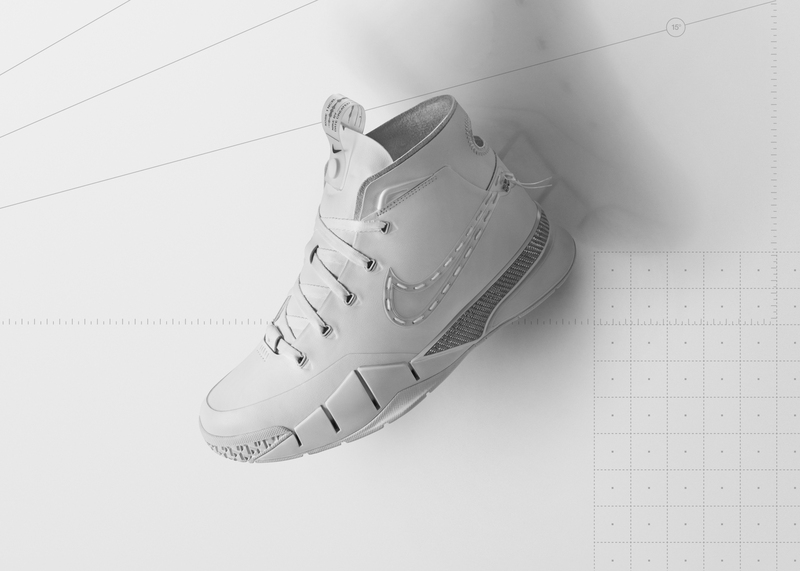 Nike worked closely with an impressive roster of collaborators on an exclusive ‘Noise Canceling Collection’, where five elite athletes who have been part of disruptive, New York sports moments – including Shalane Flanagan, Nigel Sylvester, Odell Beckham Jr., Maria Sharapova and Kobe Bryant – reimagined Nike’s most iconic footwear styles in all white; the purist approach and flexible design of each sneaker seeks to symbolically counteracts the ever-present noise of New York City. 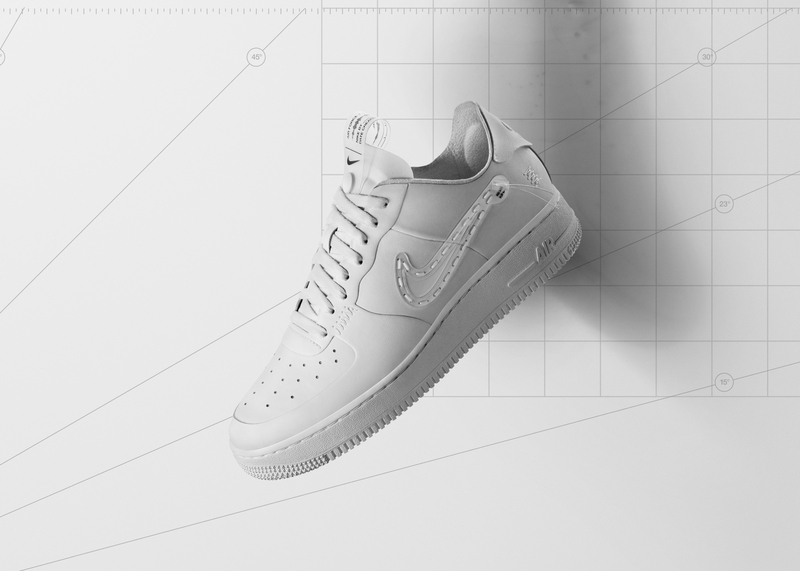 Nike Air Force 1 Low - Odell Beckham Jr.
As one ascends the store’s commanding staircase it becomes ever more apparent that Nike’s story on innovation is told through their all-encompassing approach to design, efficiency and disruption. 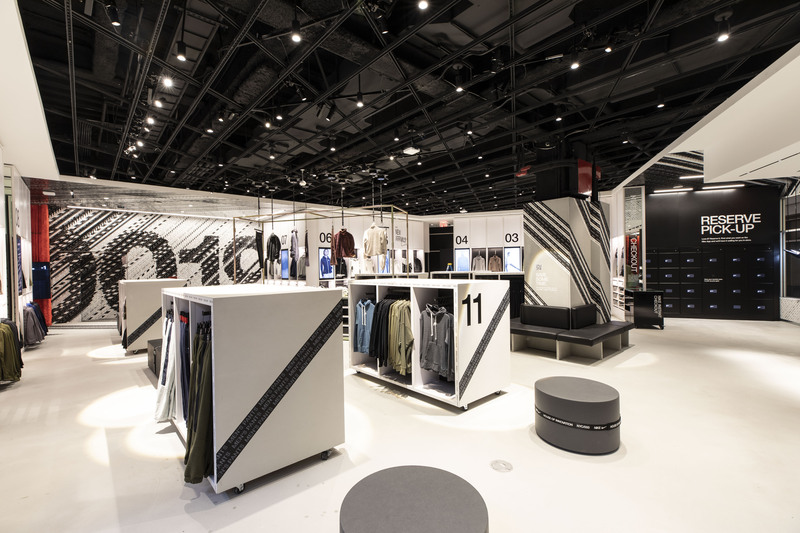 From leading with a women’s and young athletes product zone on floor 2 – followed by men’s on floor 3 – to digitizing the physical retail space through new services and function-based means – integral to the flagship’s Expert Studio on floor 5 – and approaching merchandising from both a functionality and high performance mindset, Nike innovates in every arena. 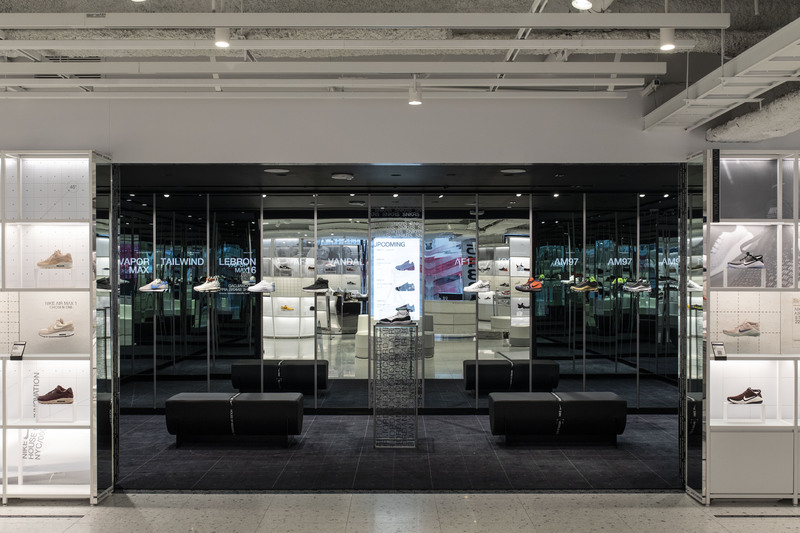 Floor 4, arguably the most sought-after level of the flagship, is home to the brand’s Sneaker Lab, housing the largest concentration of Nike footwear anywhere in the world. 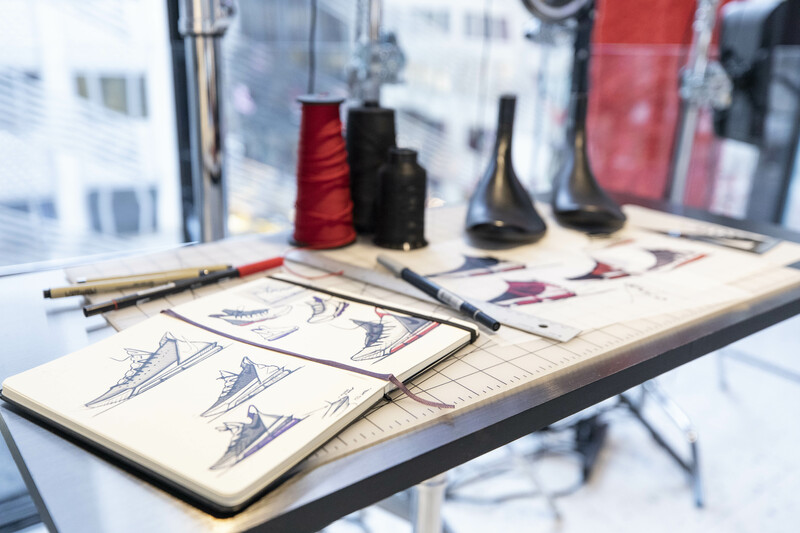 With women’s and men’s together on one floor, The Nike Sneaker Lab is centered on building relationships and fostering modes of collaboration through Nike design storytelling. 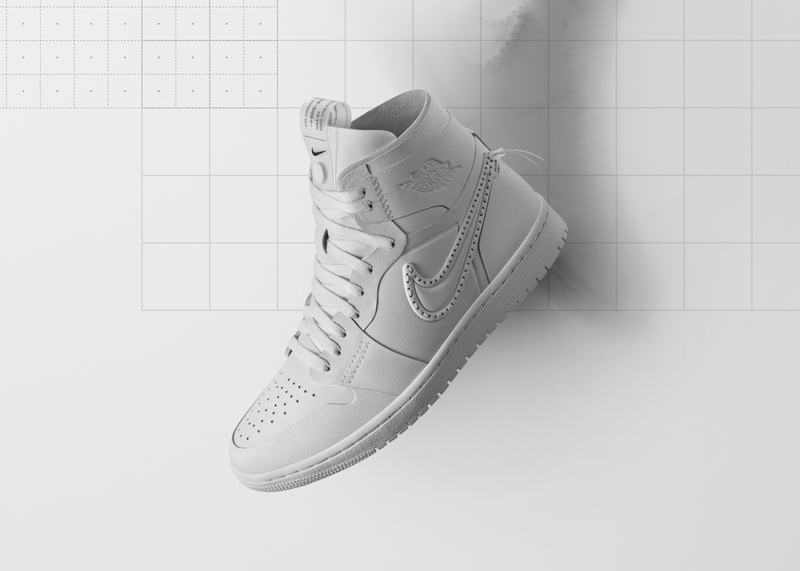 The bright white, tonal space – inspired by the brand’s Air Force 1 triple whites – employs Bauhaus-like grids to uniformly display product, democratizing the sneaker shopping experience. 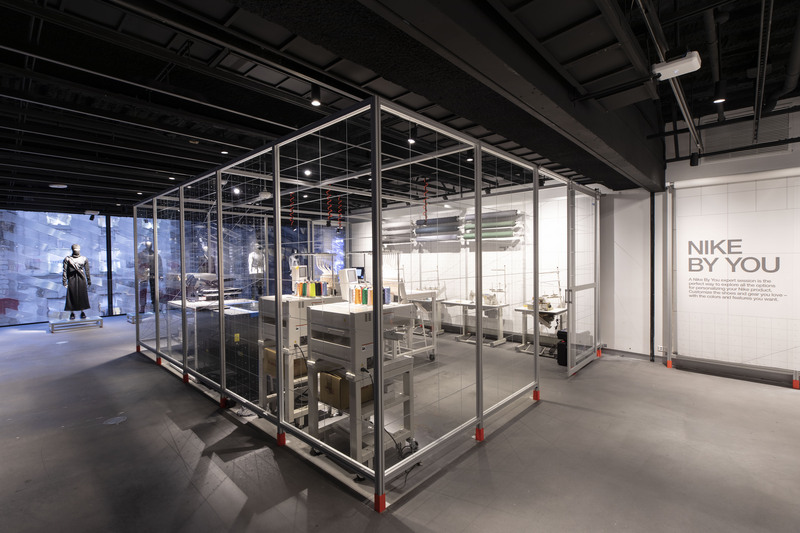 The space touches on everything that Nike’s designers are inspired by through the visual and physical accessibility of ideas, making the flagship’s Sneaker Lab both the biggest and best Nike footwear floor in the world. 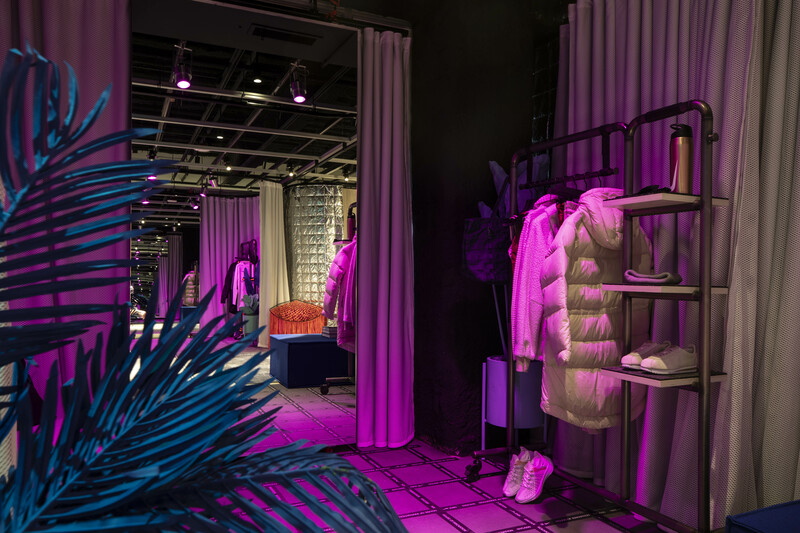 Notwithstanding the unparalleled variety of retail categories, and exclusive and customizable products the flagship has to offer, the store’s materiality alone symbolizes the brand’s otherworldly quest towards challenging the codes of physical retail. 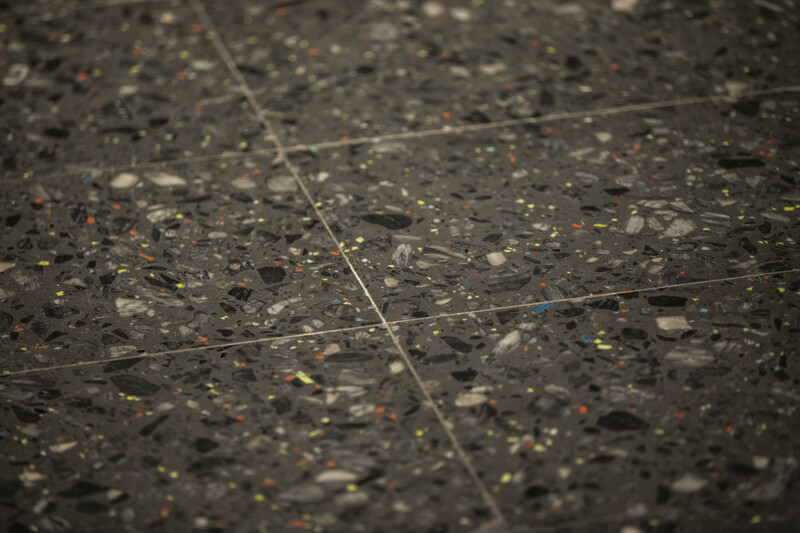 Present throughout the structure’s six floors are three variations of uniquely crafted Nike Grind terrazzo stone, consisting of colorful chips of recycled Nike athletic cleats. 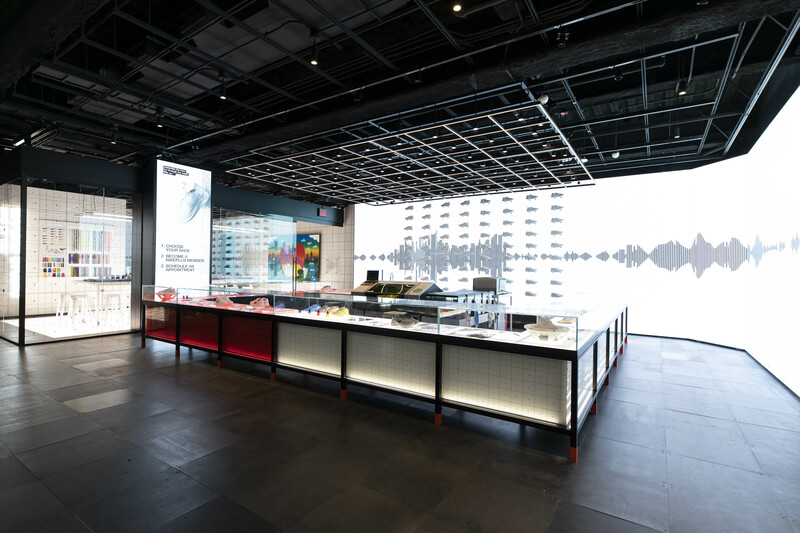 The custom flooring is only one chapter in Nike’s story on physical store design; the speckled terrazzo is accompanied by dozens of complimentary materials ranging from translucent glass, aluminum and raw steel, to plywood, recycled felt and dichroic textures. 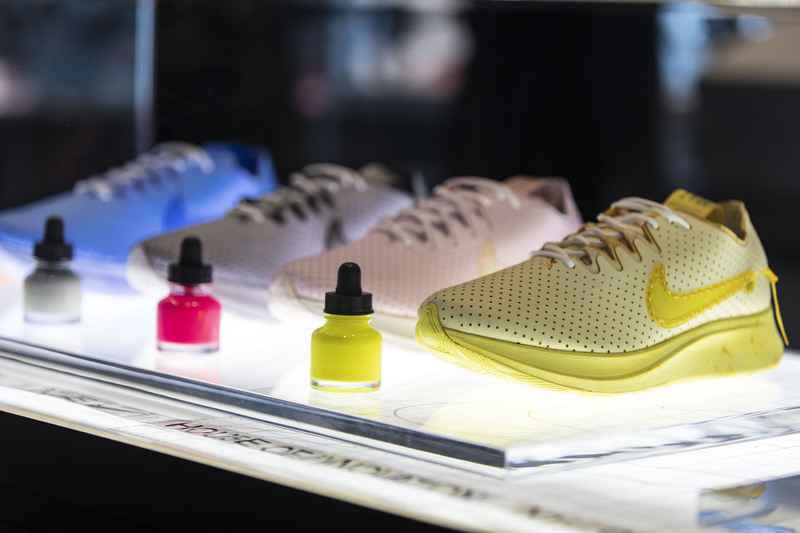 The Nike House of Innovation 000 is built off the concept of ‘living retail’. 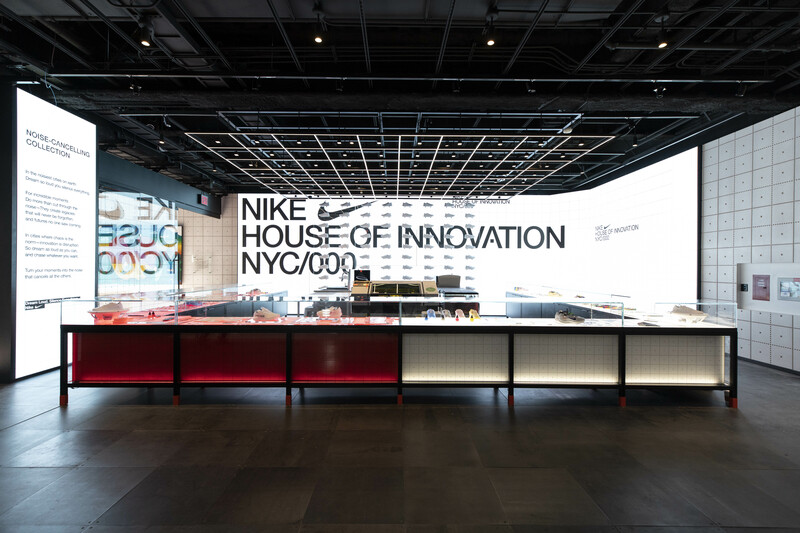 The structure’s inherently flexible design and eternally evolving environment serve as physical metaphors for the dynamism of the Nike brand and its never-ending quest towards innovation. 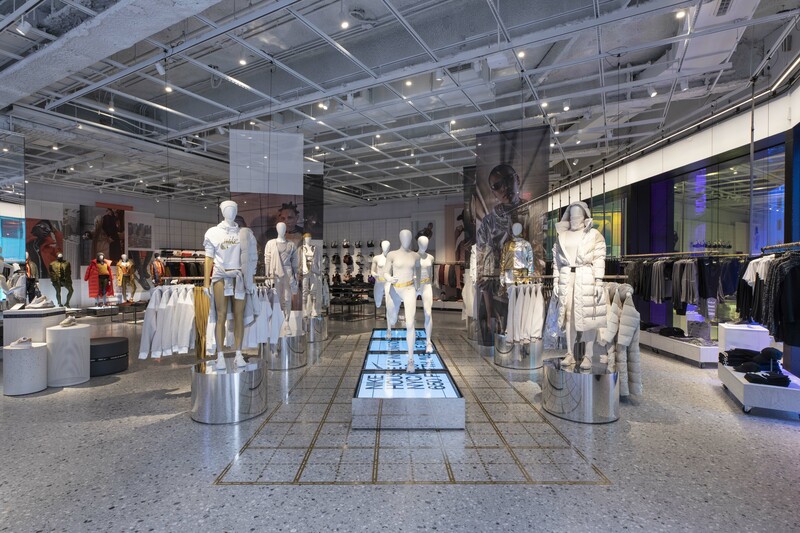 Housed within the building’s carved glass façade is more than Nike product, it is a melting pot of data, performance, collaboration, co-creation, coordination and disruption, that together encompass the emergent landscape of retail innovation, done to a level that none other than Nike could achieve.